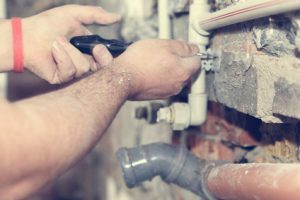 Plumbing Emergencies – Whether it’s a clogged toilet or shower that won’t drain, a master plumber can easily take care of any problem like this. Bathroom Remodels – If you want new fixtures or an entirely remodeled bathroom, a licensed plumber can help. They can install new showers, new water faucets, or repipe the bathroom if you want it in a different configuration. Leak Detection – Leaks can cause expensive problems if they aren’t fixed. When a pipe breaks or has a connection issue behind a wall or in a basement it can cause mold or damage to the foundation of the home. Both of these problems are very costly. Mold can also cause health problems if it isn’t dealt with in a timely manner. Foundation repair can cost in the tens of thousands of dollars. Certified Backflow Testing – When you need to have backflow tested, a certified master plumber can accurately test this for you, preventing any harm to public water supplies. Garbage Disposals – When your garbage disposal isn’t working anymore and it’s time to get a new one, a plumber can let you know what horse power would be best for your home. Then, they can also easily install it within just a couple of hours. RO and Other Water Treatment Systems – RO systems, or reverse osmosis systems, help to rid your water of inorganic solids making your water taste better. Plumbers can also install a variety of other water treatment systems. Conventional Water Heaters and Tankless Water Heaters – When you need maintenance on your water heater, call a licensed plumber to get it back up to speed in no time. If it’s time for a new one, a local plumber can install conventional water heaters that come in electric or gas, and they can also install gas-fired and electric tankless water heaters. Whole House Repiping – If you’ve bought or are living in an older home, it may be time to repipe the entire house. Older houses, even in Melbourne, Florida, may have lead pipes in them, which is bad for your health and the health of anyone drinking the water in your home. It is especially dangerous for children under the age of five. A licensed plumber can repipe your house with copper pipes, getting rid of the dangerous lead pipes. Sewer Jetting – When you’ve got sewer or drain lines clogged, sewer jetting will get them back to flowing as they should. By using water with high pressure behind it, a plumber can easily clean out these lines.